How should faithful Catholics respond to this refusal of God’s love? 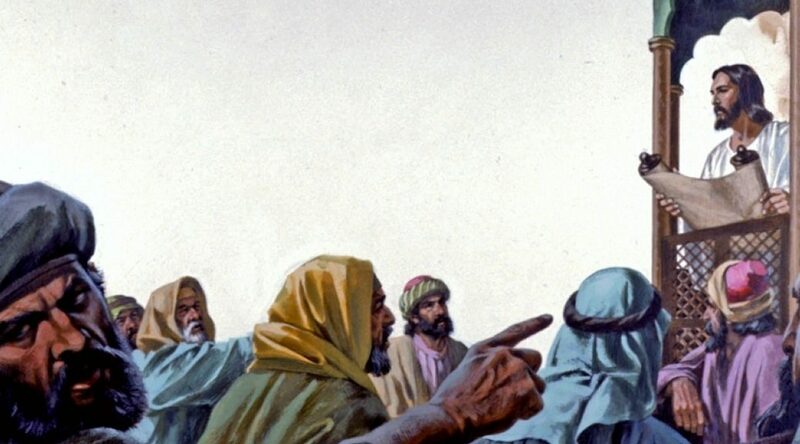 In the February 3rd Gospel reading, Jesus is turned away by His own people at Nazareth. He almost was killed because of this tragic response. The same thing is happening in today’s society. The Church’s message: God’s love shown us in Christ Jesus, is refused. Our reaction to this refusal cannot be turning away in despair and consigning the world to its fate. We must redouble our efforts to bring back the lost sheep through words and dialog, but, above all, through good example! What should we be doing to reconcile them with the Body of Christ? God bless all of you who join in the effort of healing and reconciliation! Previous PostGrow in your faith: devout reception of the Sacraments & Participation in Bible StudyNext PostAre We on God’s Side?